A Colon firefighter was injured Thursday battling a fire at Kountry Corner Discount Store at 61727 Lepley Road. 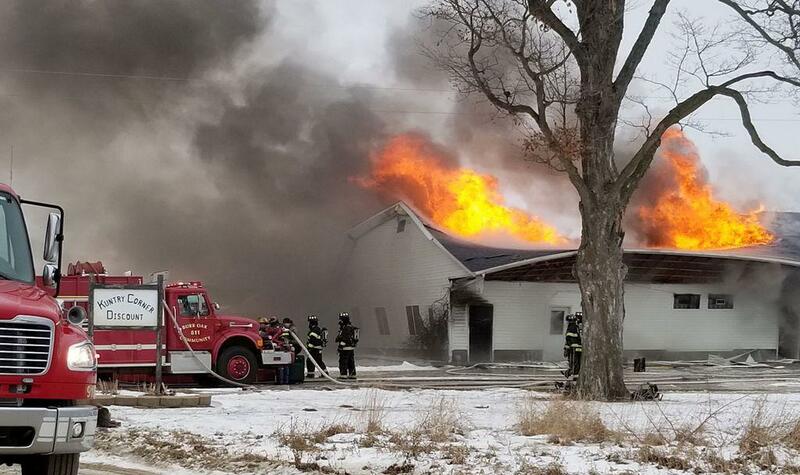 Authorities said the owner of the business believes a wood-burning stove caused the fire, which destroyed the building and its contents. The fire was reported just after 9 a.m. Flames were coming from the structure as first firefighters arrived. Assisting Colon fwere departments from Burr Oak, Centreville, Mendon, Tri-Township and Bronson.